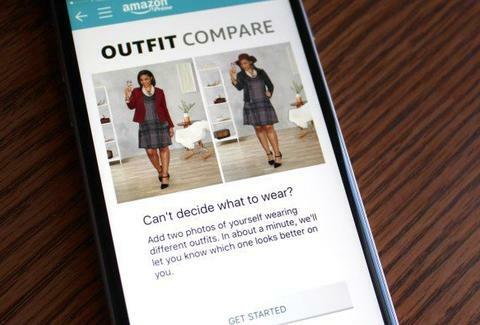 Amazon Prime is making your mirror obsolete with its newest feature. Called Outfit Compare, the function allows a real-life fashion expert to judge your outfit before you leave for that hot Tinder date or job interview. Gone are the days of trusting your own fashion sense. How Amazon corralled a team of fashionistas to help people in a stylistic funk is a weird question. It’s unclear whether there’s any sort of automation at play -- because it’s hard to imagine a team of stylists eagerly waiting just to dress you. According to an FAQ provided by Amazon, the stylists come from a diverse set of backgrounds in the fashion industry, not limited to retail and editorial. Amazon notes that only company employees can see your photos, and that the images are deletable inside the app, meaning that they’re ultimately scrubbed from your account. So with that morsel of knowledge, you can seek out fashion advice securely. Sam Blum recently discovered chinos and now considers himself a fashion expert. Follow him @Blumnessmonster.